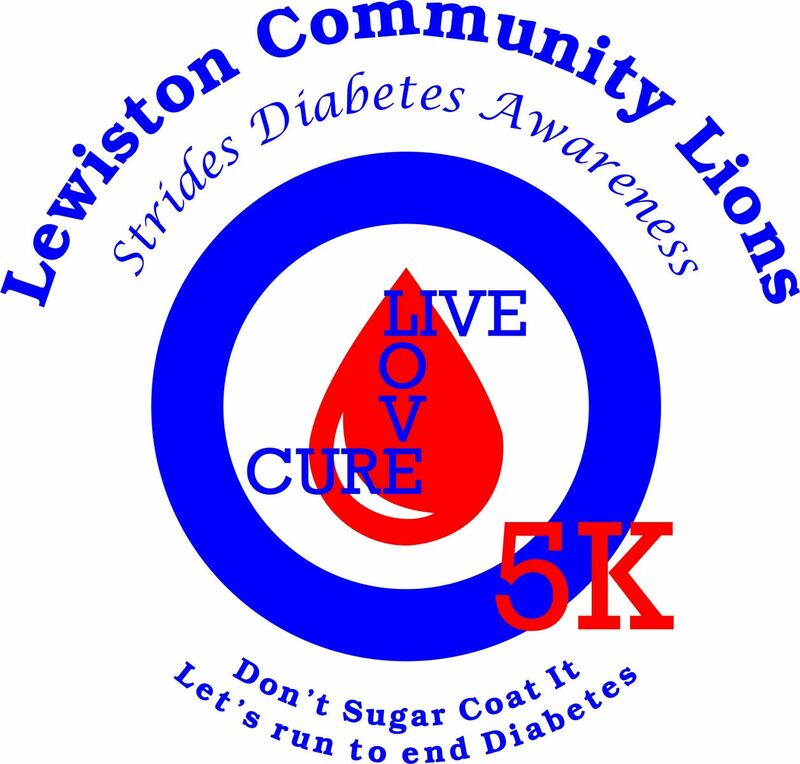 1st Tuesday of Each Month and 3rd Tuesday at 6:00 P.M.
Lewiston Community Lions Club is proud to announce their first annual Strides Diabetes Awareness and 5k Run. 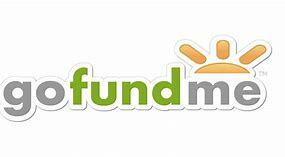 Proceeds will help to send children with Type 1 diabetes to a diabetic camp such as Camp Badger. To weld our hearts with one accord. To do thy will, Lord, make us strong. Lions have a dynamic history. Founded in 1917, we are best known for fighting blindness, but we also volunteer for many different kinds of community projects - including caring for the environment, feeding the hungry and aiding seniors and the disabled. Lions give sight. By conducting vision screenings, equipping hospitals and clinics, distributing medicine and raising awareness of eye disease, Lions work toward their mission of providing vision for all. We have extended our commitment to sight conservation through countless local efforts and through our international SightFirst Program, which works to eradicate blindness. Lions serve youth. 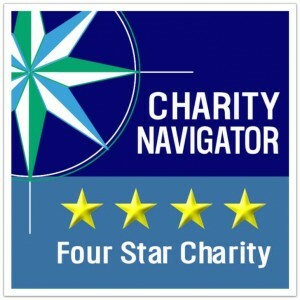 Our community projects often support local children and schools through scholarships, recreation and mentoring. Internationally, we offer many programs, including the Peace Poster Contest, Youth Camps and Exchange and Lions Quest. Our Leo Program provides the youth of the world with an opportunity for personal development through volunteering. There are approximately 144,000 Leos and 5,700 Leo clubs in more than 140 countries worldwide. 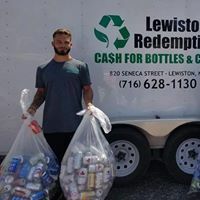 ​Simply bring your bottle and cans to Lewiston Redemption at 820 Seneca Street, Lewiston, NY 14092 and mention to them the money from the cans and bottles should be donated to the Lewiston Community Lions Club. 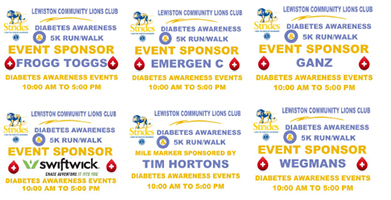 The Lewiston Community Lions Club is always looking for volunteers for our many fundraising and charitable events. We are also welcoming to new members who want to give back to their community by giving of their time to help those in need. If you are interested in volunteering or becoming a member of the Lewiston Community Lions Club, please contact our membership committee or download our membership application. Volunteering offers vital help to people in need, worthwhile causes, and the community, but the benefits can be even greater for you, the volunteer. Volunteering and helping others can help you reduce stress, combat depression, keep you mentally stimulated, and provide a sense of purpose. While it’s true that the more you volunteer, the more benefits you’ll experience, volunteering doesn’t have to involve a long-term commitment or take a huge amount of time out of your busy day. Close to 45 percent of people in the US admit to feeling lonely. On top of that, one in ten adults reports that they have no close friends. Loneliness and social isolation are two of the most serious epidemics in the world today. The simplest way to reverse this? 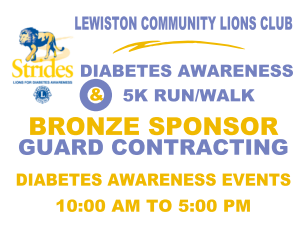 Volunteer with the Lewiston Community Lions Club. Socially, the benefits to volunteering show up quickly and have long-term effects. Social interaction improves mental and physical health. The benefits of consistent socializing include better brain function and lower risk for depression and anxiety. You also improve your immune system. Volunteering creates stronger bonds between friends, family, and coworkers. People build closer relationships, better connections, and and more powerful attachments to people when they work together. If you feel the need for deeper connections with other people, try volunteering with the Lewiston Community Lions Club. You might just live longer and be happier. We all know that helping others makes us happier. We love making someone else’s life a little bit easier. However, did you know that those feelings of happiness can prevent and relieve some of our most painful struggles? Studies show that improved mental health is just another of the many benefits of volunteering. Depression, Post-Traumatic Stress Disorder, low self-esteem, and even Obsessive Compulsive Disorder have all been helped by volunteering. They have an increased sense of purpose. Connection and meaning translate to decreased symptoms and improved social function. When teens or young adults volunteer, they develop self-esteem, confidence, and feelings of self-worth. Consider the advantages to volunteering for teens and young adults with eating disorders, social anxiety, and depression. Volunteering could be life-changing (and life-saving). Volunteering reduces stress and improves well-being. Volunteering gives people the tools they need to be happier, healthier, and well-rounded individuals. It also keeps us young. When you have volunteered in the past, were you doing something physically or mentally demanding? Most volunteer work is physical, whether carrying boxes, standing for extended periods of time, or solving problems for an organization. Research continues to find that the benefits of volunteering include improved health. While everyone benefits from a little boost in physical health, long-term volunteers have longer lives, less disease, and better overall health. One report says that people who volunteer over 100 hours a are some of the healthiest people in the U.S.
Alzheimer’s disease has become a frightening possibility for millions of individuals in the U.S. and globally. However, some research has shown that people who volunteer may be at lower risk of dementia from 65 years on. As volunteers age, they may be able to maintain the connections in their brains that often break down in Alzheimer’s patients. Any social interaction can help delay or prevent Alzheimer’s, and volunteering can be a wonderful way to do that. Older volunteers benefit the most from getting out of the house, engaging with others, and moving physically. Purpose and collaboration result in mental health improvements and a better outlook on life. Older people who volunteer often feel younger and chronically ill people may have fewer symptoms and pain. With more people in traditional desk jobs, we live a more sedentary lifestyle than ever before. When we volunteer, even if it is not a physically demanding project, we still get up and get moving. Volunteers live longer. Volunteering at something that requires physical energy may be more motivating than just walking around the block. 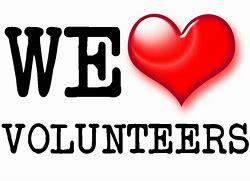 Volunteering saves lives, both the lives of the people you help and yours. When you invest the time and energy to volunteer, you are investing in yourself just as much as in the causes you support. For school-aged kids, volunteering builds social skills and develops awareness. High school students volunteer to boost their college applications, and college students volunteer to improve their job search post-graduation. Such programs benefit everyone. If you can get into a great college or accept a fantastic job offer as a result of your community service, why not? The benefits of volunteering do not have to be limited to others. Many researchers have noticed that Millennials are some of the most civic-minded and socially-aware employees. Seventy percent of Millennials share their skills with charitable causes, but their volunteer hours also make them competitive in the job market. Volunteering and freely giving your time, energy, and resources to people and causes around the world can create change on a global scale. It is amazing to think that one person’s efforts can change the life of someone else somewhere in the world. However, the best part, and often overlooked is that volunteering is just plain fun. 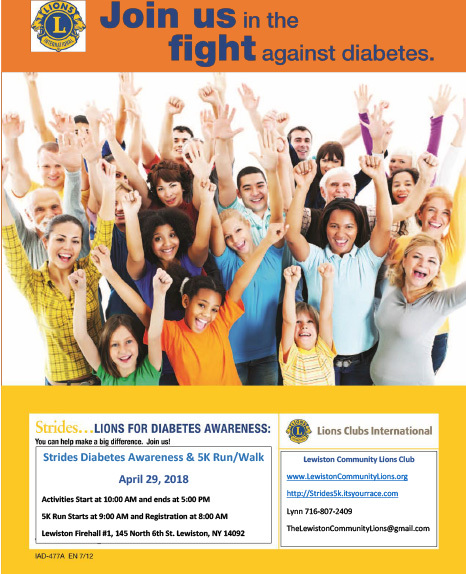 If you are ready to make friends, improve your mental and physical health, and maybe develop new skills along the way, join the Lewistion Community Lions Club and start volunteering today. You can change your life and the lives of others when you do. Don’t overlook the benefits of volunteering. Embrace them!